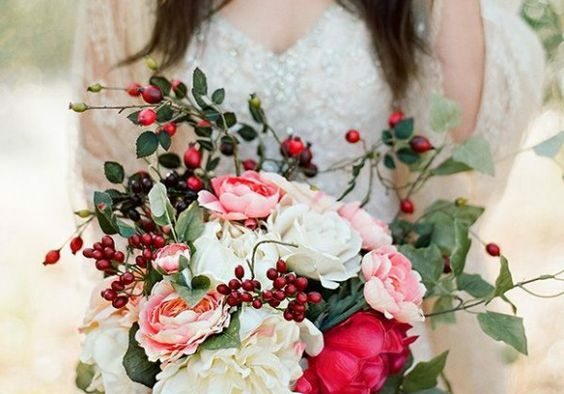 A round bridal bouquet that is compact and well done is kind of a cliché for the bridal day and in wedding receptions. Nowadays it’s good to apply for another type of attitude and for new and original ideas. We have pushed you in so many times before to be daring and to apply for shapes that are unique and daring! So, say goodbye to the Biedermeier bridal bouquet and say hello to other new models, which we’re pleased to share with you. 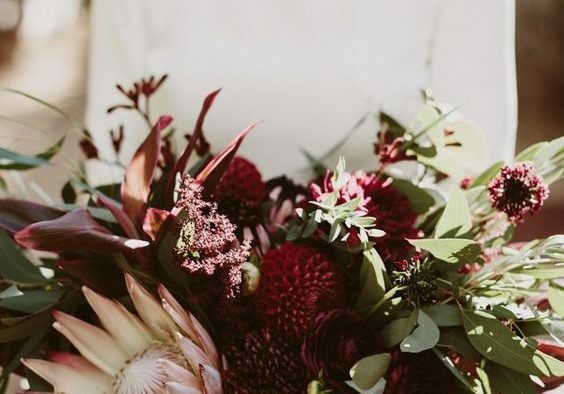 Think of daring shapes and colors and don’t forget to express a little bit of your personality through the wedding flower arrangement that you decide to apply for. 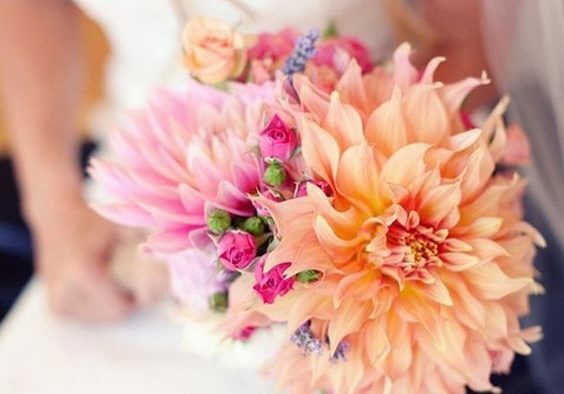 This type of wedding flower arrangement is characterized through the abundance of flowers in the upper side of the bouquet, becoming smaller and smaller in the lower side of the arrangement. 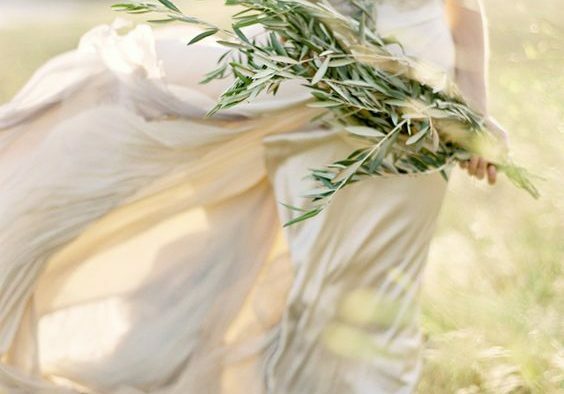 Certainly this type of bridal bouquet seems to be the best contestant for the role of “the most dramatic bridal bouquet”. For a resistant basis, you can ask the florist to add as basis thin and lightweight wood that will turn out to be helpful in realizing the tear shape of the wedding flower arrangement. 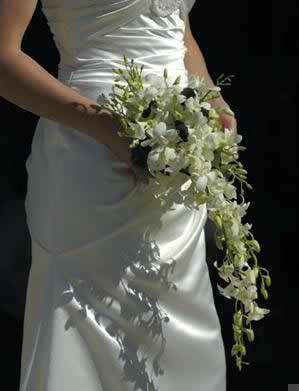 This particular style of bridal bouquets incorporates in it flowers with long stems and in this way you can easily place the wedding flower arrangement along the arm. A not so tall bride would need a more compact version of this wedding flower arrangement, while a tall one can stretch very much. 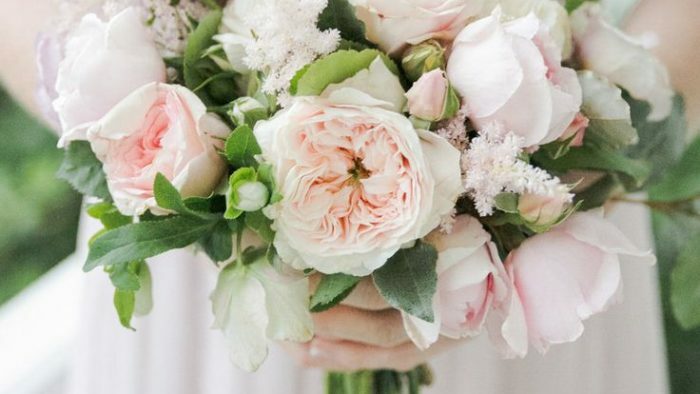 You also have to take into account the fact that you have to sustain the bridal bouquet with both of your hands, depending on the diameter of the basis. The arched flowers from both sides starting from the exterior towards the interior create a shape that is full of equilibrium and creates the shape of a crescent. 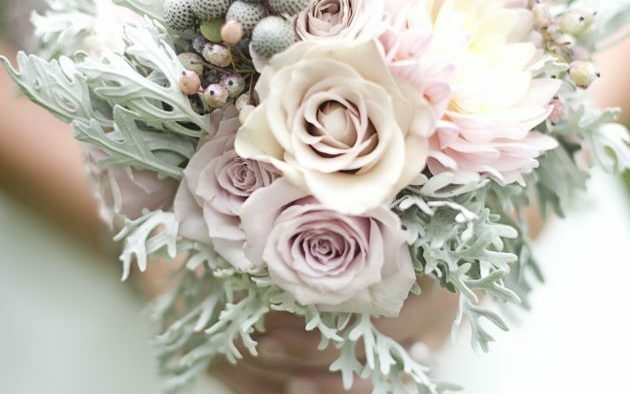 Having created this rich impression, the stems of the bridal bouquet have to be left a little bit longer in order to surely sustain the arrangement. You do not need too many leaves, but you need lots of blooms as to create a great looking visual effect.